Volkswagen has agreed to pay up to $15 billion for selling cars with software designed to cheat on emissions tests, according to a source familiar with the settlement. Details are expected at a press conference at 9:30 am ET on Tuesday, the company confirmed. Volkswagen originally faced up to $18 billion in fines for violating the U.S. Clean Air Act, and has said it's already set aside that much money to deal with the case. VW sold about 11 million cars worldwide with deceptive software that cut back on cars' emissions when they were undergoing tests. When they were actually on the road, they were dumping as much as 40 times the allowed level of certain pollutants into the air. Nine months after the issue came to light, the company still hasn't announced a fix for the problem. A settlement in the ballpark of $15 billion would shatter records for other fines paid by other automakers for negligence or wrongdoing. General Motors (GM) paid a criminal fine of $900 million for a faulty ignition switch tied to at least 124 deaths, and an additional $600 million to victims and their families. And it may have to pay more: A pending class action lawsuit seeks damages on behalf of car owners. Toyota agreed in 2012 to pay a $1.2 billion fine, and settled with car owners for an additional $1.1 billion in the unintended acceleration case. The settlements are expected to cover consumer claims and fines by the Justice Department, EPA, FTC, and states including California. The company still faces additional civil and criminal investigations. Tuesday's announcement is expected to shed more light on terms Judge Charles Breyer laid out in April, including that VW (VLKPY) will have to repurchase or fix cars for customers depending upon what the owners want. The agreement still has to be approved by a federal court. A hearing in the case is scheduled for June 30. 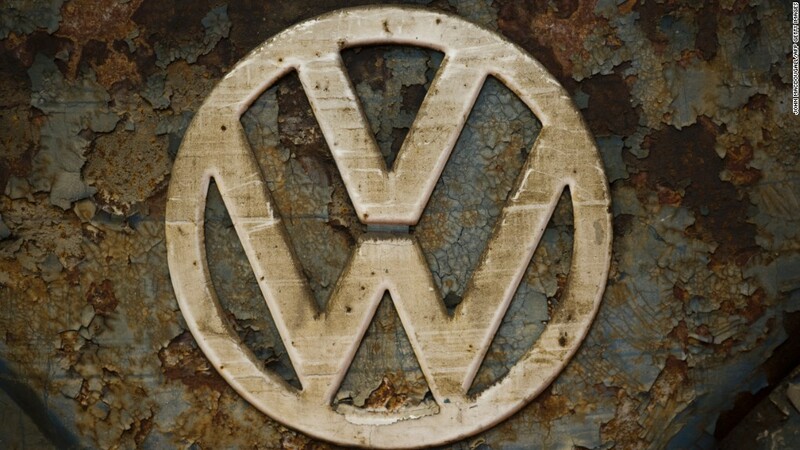 VW admitted to the deception soon after the problem was revealed by the EPA last September. Top VW executives in the U.S. and Germany have resigned over the scandal. But the company claims an internal probe has cleared past and current top executives of wrongdoing.